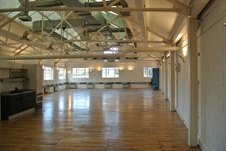 Cattaneo Commercial are pleased to announce the letting of 2,378 sq ft in this unique refurbished former factory at 2 Acre Road, Kingston, to 7Dots Ltd. The suite has recently been refurbished and provides fully air cooled offices and benefits from 2 car parking spaces. If you have a requirement for offices or are looking to dispose of premises in Kingston please contact either Andy Armiger or David Keates on 020 8546 2166.